Putting pen to paper to write a letter is now an activity almost exclusively practiced by the elderly and the stubborn. With the advent of email, text message and instant message we have heard individual nails being hammered into the coffin of the hand-written word. But now it seems that even digitally the written word isn’t safe. 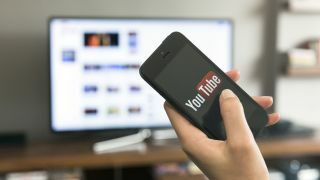 Google has recently released some of the numbers associated with the amount of time that we’ve all been spending on YouTube and the numbers are pretty staggering. If you do the maths on that, it means that we are collectively watching over 45 billion hours of YouTube a month, on our phones alone. YouTube has always been a playground for terrifying numbers. Like the fact that Gangnam Style has been watched for 22 thousand years. If the video was playing continuously, it would have had to have started playing during the last ice age. What’s interesting is the way that video weighs against all the other content online. Currently, video makes up 73% of consumer internet traffic according to technology giant Cisco. What’s more, it believes that by 2021 that that will increase to 82%. And you know what, fair enough. Words are hard work. You have to think the thoughts, write them down using words, publish the words, then other people have to read the words and turn them into thoughts again using their brains. With video, you just point a camera at your face and the words fall out. We’re being facetious but video is a really relatable format, and with advancements being made across the board with how easy it is to create, distribute and watch video content, our need for written content is diminishing. This has meant that video is now a large part of social interactions, with video chat becoming the next stage of social interactions. Obviously the written word will never truly die as long as language exists, but it is interesting to see the effects that video is having on personal interactions online.